The BBC is launching an alternative to the Glastonbury Festival to celebrate the London 2012 Games. Plan B and Leona Lewis, who sang at the Olympic handover ceremony at the Beijing 2008 Games, have signed up to play at BBC Radio 1's Hackney Weekend 2012. Other star names are being confirmed but there will be 80 international artists, bands and DJs as part of the line-up. The free concert on east London's Hackney Marshes will take place on June 23 and 24 2012, the same weekend as the original Glastonbury Festival which is taking a year off in 2012. It is also the first big event of the London 2012 Festival, starting on June 21, where leading artists from all over the world are working on events to celebrate all forms of the arts and the Olympics. "To be part of this event is so important to me," said Leona. "I'm so excited about the opportunities and the excitement it will bring to the area. "Radio 1 are going to put on the biggest show in their history and it is happening in east London - I couldn't be happier." East London music star Plan B and Leona, world triple jump champion Phillips Idowu and DJ Trevor Nelson, who were all born in the east London Olympic host borough of Hackney, have all signed up as ambassadors for the big weekend. 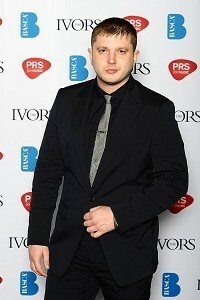 Plan B (Ben Drew) said he was "very proud" to be an ambassador and predicted it will be a "special event". "It is great to have a musical celebration in the area where the Olympics are being held," he said. There will be 50,000 spots each day for music fans to watch the concerts, up from 20,000 for the usual Radio 1 Big Weekend show.